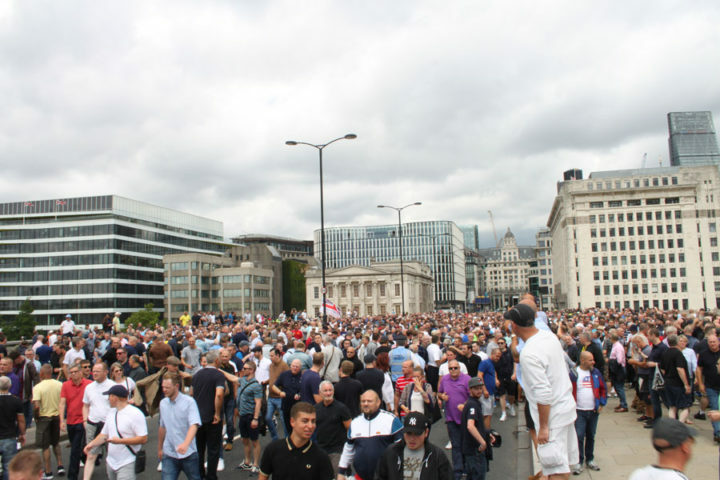 Up to 5,000 assorted Islamophobes, racists and fascists marched through central London today, mobilised by a rightwing coalition of football hooligan firms called the Football Lads Alliance. It is the second time in a fortnight that such a sizeable march of this type has taken place. 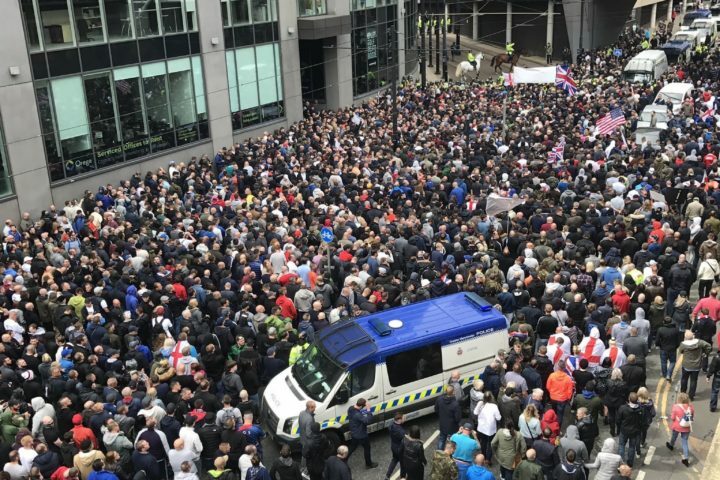 Several thousand racists, fascists and assorted Islamophobes took to the streets of Manchester on Sunday 11 June. The so-called “UK Against Hate” demonstration was the biggest organised by a fascist street movement in Britain for more than five years.